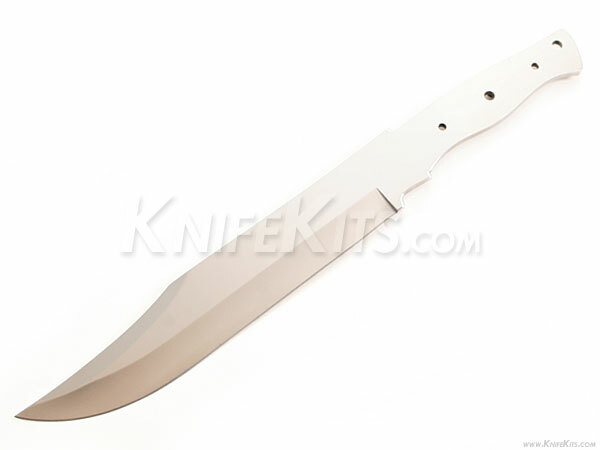 The Camp Master is a great all-around camp knife design, featuring a full tang handle and 9" inches of cutting edge. 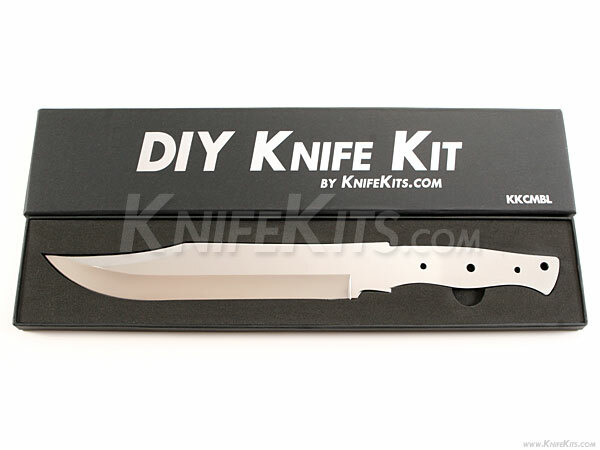 This blade is made from 440C stainless steel and is a full 15-1/8" inches long. It is .190 thick and 1-5/8" inches wide at the widest point, hollow ground and mirror finished. This model offers plenty of cutting power and is weighted for chores like chopping, slicing and/or notching. 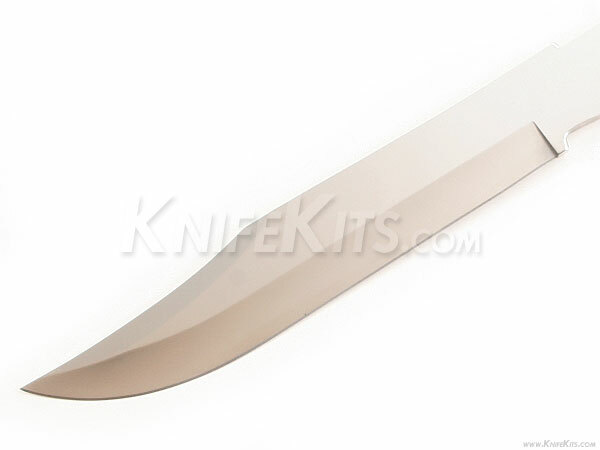 The handle tang is 5" inches for plenty of handle length, has a designed swell for maximized grip and offers (2) .187, and (1) .250 handle holes. also includes a tong tube hole of ¼ inch. 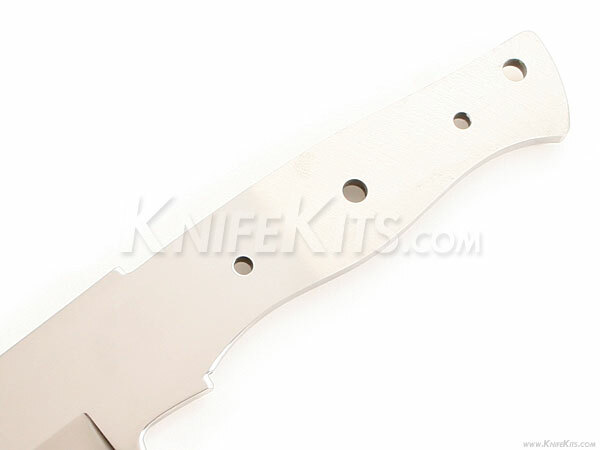 This design can also be used with our large C-Type guard.